Our Library has an extensive range of books and magazines available for members to borrow. You will find books on all subjects from appliqué techniques, traditional patterns, history of quilting to modern quilts and machine quilting patterns and techniques. And our collection is continually being added to. International magazines such as American Quilter, QuiltMania, New Zealand Quilter, Machine Quilting and Modern Quilts are very popular and for those quilters whose interest is in the more freeform and artistic area we also subscribe to Quilting Arts and Cloth Paper Scissors. 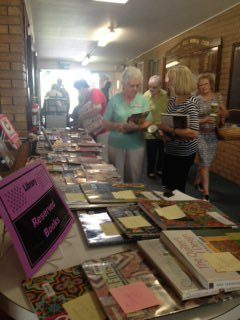 Members who attend our monthly meetings may borrow up to 10 items per month and the library is open at both the day and night meetings. 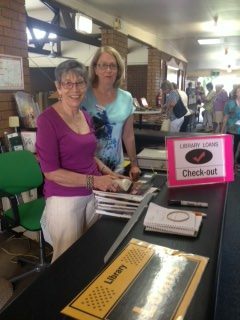 Regional members who wish to borrow should contact our librarian at [email protected] and the books will be reserved and posted when available. 2Q Affiliated Groups can also borrow from our library by contacting our librarian at [email protected] with a list of books or subjects the group would like to borrow. These can either be collected at our monthly meetings or posted and returned for a small charge. You can view the library catalogue below where you can also reserve books to collect at the next meeting/when available. 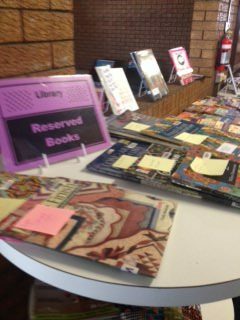 Books can be reserved. It may take a few meetings for the book to become available depending on the demand for that particular book. New books purchased have a ‘Fast Back Sticker’ so they can be easily identified. Lists of the new books are published in Material Facts.